The school gate opens at 6.30, and students are free to play in the yard. First graders usually head directly for the playground to have fun! The bell rings at 7.30. The teacher or learning assistant greets their class and walks with them to the classroom. The day starts with a Morning Circle, where the whole class sit down together to go through what’s in store for the day. Then it’s time to study! 45 minutes later, it’s time for the first break! The first graders love to go out and play. Free-form play enables children to practise social interaction and release excess energy. Back to lessons! Now the first graders have two lessons in a row. Learning is built around meaningful topics like family, healthy food, or weather. The teaching and learning is active, utilising plenty of pedagogically designed play and games. The children learn best when they are excited about their studies and enjoy the lessons. Time for lunch! First graders eat in their own classroom: some students bring a packed lunch, others go for the healthy lunch provided at the Canteen. Once more, it’s time to go outside and be active. On windy or stormy days, the students may stay inside, but customarily we encourage them to move. Being active during breaks helps the children concentrate on their studies once back in class. The last two classes of the day usually focus on arts and crafts, with a 15-minute break in between. Before finishing at 1 p.m., the class close the day by packing up their things and singing a goodbye song or reciting a rhyme together. After school, some first graders grab a snack at the Canteen and head to an ECA – extracurricular activity – for example choir, parkour, fencing, coding, or science. There’s also an afternoon club: if a first grader’s older sibling is at the school till 2 p.m., or if the student’s bus leaves at 2 p.m., they can stay for the club and for instance do their homework. Learning takes place everywhere: a first grader’s homework might consist of clearing the family’s dinner table in the evening, and taking a photo to show his/her housekeeping skills to the class. The school gate opens at 6.30, with the school bell ringing out the first lesson of the day at 7.30. Fourth graders independently make their way to their own classroom. Fourth graders have two back-to-back lessons to start their day. By way of example, they might first have Social studies focusing on Qatari History where the students form groups to create presentations, and then learn about the human body through Science and Art. At 9, the students go outside for their first 30-minute break. The football field is a popular spot, as is the playground. The students have another two lessons. Fourth graders have Arabic – either as mother tongue or a second language – and English and Literature. The class teacher and learning assistant collaborate in guiding and personalising the learning within the class. For lunch, fourth graders go to the School Canteen, where they can choose the healthy lunch menu on offer, or they can eat the packed lunch they’ve brought with them from home. The students then enjoy a 30-minute break where they go outside and move. Being active during breaks helps the students concentrate on their studies once back in class. Break equipment is available for students to borrow sports equipment, such as tennis rackets and frisbees. Once a month, the whole school gathers outside to enjoy a Super Break for all sorts of fun activities. In the last two lessons of the day (punctuated by a 15-minute break), the fourth graders practise fractions with the help of music, and form teams to gather information about the solar system. The Grade 4 day finishes at 2 p.m., with time at the end to reflect on the day. Some students stay after school for ECAs – extracurricular activities – but not before a quick snack at the Canteen. Fourth graders can choose from a wide variety of ECAs: for example dance, archery, parkour, the Lynxes Newspaper, and chess. Learning happens in unexpected ways: after finishing their homework assignments, a fourth grader may add new English phrases to their growing vocabulary through playing video games. The school gate opens at 6.30, with the school bell ringing out the first lesson of the day at 7.30. Eighth graders make their way to their first class. Eighth graders have 11 hours of optional subjects – such as media, photography, and French – a week. Time to refresh! The higher grades enjoy certain privileges, such as the choice of staying inside during some breaks. The morning continues with two back-to-back lessons. At Q.F.I. School, we balance academic with creative subjects: in woodwork and metalwork, students design their own masterpiece using complex tools. Eighth graders can train to become Breakies who mentor, guide, and supervise younger students during break times. For lunch, eighth graders go to the School Canteen, where they can choose the healthy lunch menu on offer, or they can eat the packed lunch they’ve brought with them from home. Throughout the day, Grade 8 students are taught by subject teachers, who have specialist knowledge in their respective fields. At 13.45, the day draws to a close, with eighth graders spending a quality 15 minutes with their homeroom teacher, discussing and managing issues in their daily life. Some eighth graders attend ECAs (extracurricular activities). An important part of the school’s spirit is the sports club Lynxes, where high-achieving athletes receive top quality coaching and compete against other schools in different sports. Some students are members of the Lynxes Fan Club. The older the students get, the more responsible they are expected to be for their own learning. Eighth graders are sometimes given research tasks for homework, where they have to locate, access, and summarise information found in the school library and online. 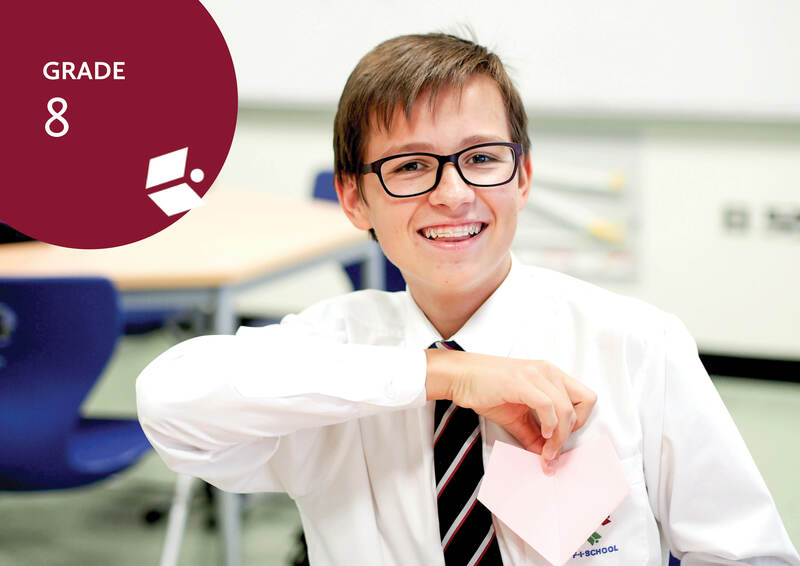 We follow a localised version of the Finnish National Core Curriculum which is in accordance with Qatari standards, and which reflects the needs of our international student body here in Doha. In our school, the Ministry of Education’s programme in Arabic, Islamic Studies, and Qatari History is adhered to. The main language of teaching is English, but because we value languages as a richness, everyone in our community is also a learner of Arabic. The Finnish National Core Curriculum drives academic and intellectual advances through nurturing mental and physical well-being. Finland’s world-renowned education system is realised in the curriculum promoting a unique, balanced, and holistic learning experience from early years through to adulthood. Learning is not seen as something which takes place merely in the classroom; it is a continuous, cyclical process where know-how is acquired and applied each day through different spheres of life. The Finnish Curriculum is distinguished by a highly student-centred approach backed by a comprehensive three-tier support system, which ensures that everyone has the opportunity to excel. This holds true in our learning community. Every student is supported on their own personalised learning path, and teaching methods are informed by what suits each individual’s learning style best. By virtue of the Finnish Curriculum prioritising active learning, we expect and encourage our students to engage in and take charge of their own learning process. Students essentially learn how to develop, direct, and evaluate their learning, all the while discovering meaningful connections and recognising relevant applications in real-life. Through a carefully designed, thematically structured, research-based curriculum, students gain cognitive skills and hands-on abilities to help navigate everyday challenges, and which serve them well throughout life. At Q.F.I. School, we champion phenomenon-based learning. The curriculum we employ is fundamentally anchored in overarching themes, aimed at cultivating cross-cutting skills in our students. Using an integrated approach, teaching and learning transcend subjects allowing students to view this interconnected world through a wider lens. The Q.F.I. School Curriculum creates a conducive learning environment activating the development of expressive, balanced, and empowered people for the future. This is the Q.F.I. 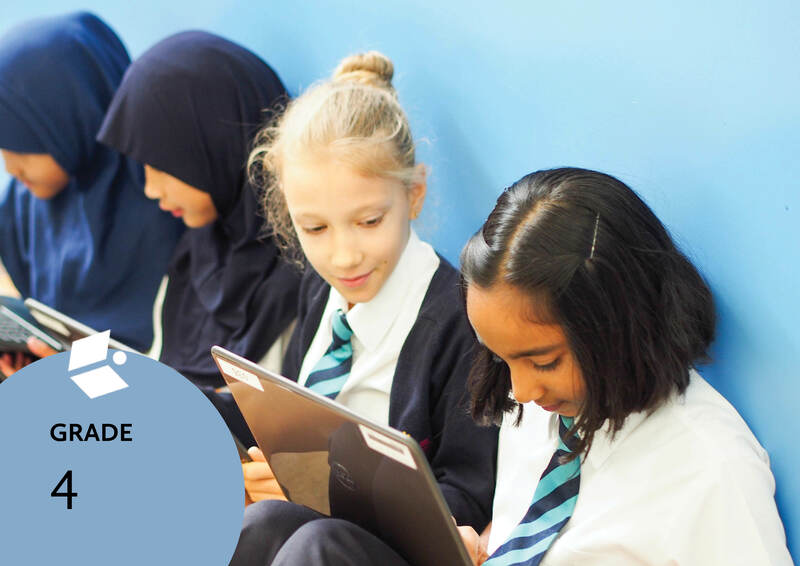 School’s Handbook, filled with information for example about day-to-day practicalities of school life, activities are available to our student body throughout the academic year, and the policies we adhere to in our learning community. Make sure you fill in all mandatory fields in the admission form and that you upload all the required attachments in English. If the school report cards and assessments are not in English, they must be translated into English by a legal translation office, and both (a copy of the original and translation) must be provided. Notice that the system time out is 45 minutes. You will be getting system generated login information; please save it in case you you want to edit the online form later. Please note that if any of the required information is missing, we will not be able to proceed with your application process. Upload the following attachments (maximum size 1 MB/attachment) to complete the application. Read more in our Q.F.I. School Policy 2018–2019. The school’s admissions team reviews the application and attachments. The team then determines the appropriate grade level for the entrance assessment. We wish to meet each applicant in person. This is why we invite each child or teen to attend the entrance assessment in a small group setting. The assessment reflects Finnish curriculum standards and is based on a holistic evaluation of the prospective student’s learning. This means we place equal value on academic, social, emotional, behavioural, and motor skills. Detailed information including assessment test procedures and instructions for how to pay the non-refundable QAR 500 assessment fee can be found in the Q.F.I. School Policy 2018–2019. Assessment fee is QAR 500 paid by cash only, and it’s non-refundable no matter whether the child is accepted or not. Please come to school 10–15 minutes before the booked time to complete the office protocol before the test begins with your child. Please bring a recent passport size picture of your child when you come to assessment. We do not show the test results for the family, but instead we will give short feedback of child’s performance during the test right after the assessment is done. The school admissions team make the final decision regarding admissions. We will notify you whether we are able to accommodate your child at Q.F.I. School. Despite of the child’s previous grade level, the school holds the right to decide a proper grade level in Q.F.I. School after the assessment. Depending on the acceptance date, the first term’s tuition fee may also be due and in that case seat reservation fee does not imply. An admissions assessment is part of every student’s application process. At Q.F.I. School, we assess the students in order to place them in the most appropriate grade level based on their skills. Assessment is based on a holistic evaluation of the child’s learning and his/her performance during the test. All aspects of a potential student’s abilities are given equal value: the school examines academic, social, emotional, and motor skills as well as behaviour and attitude. A significant need for support in any of these areas might result in the Q.F.I. School being unable to accommodate an applicant. At the beginning of the school year, the school’s pedagogical staff prepares a Personal Learning Plan (PLP) for each student. The PLP gives a holistic overview of a student’s strengths and weaknesses, and sets objectives and tools for the ongoing term. The objectives in the PLP derive from the school curriculum. The PLP is reviewed for every term. The school year is divided into three terms. Students receive a report card at the end of each term. Prior to end of term, parents have the opportunity to meet teachers in a Parent–Teacher Conference or Student-Led Conference. 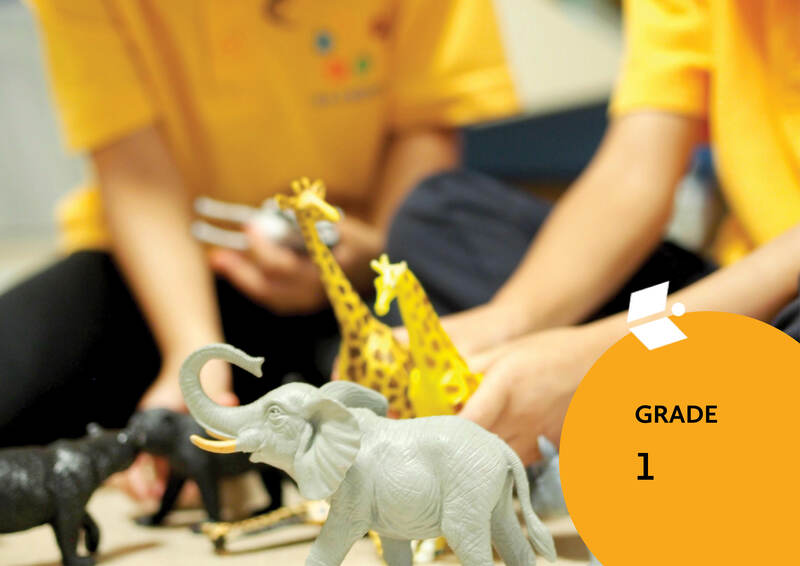 In early education (Grades 0–2), evaluation is written and descriptive. Starting from Grade 3, student assessment follows a numeric scale of 4–10 (4 being fail and 10 being excellent) accompanied by a descriptive text. Students are taught to use peer- and self-evaluation as a natural part of their daily routines and group activities. The use of these methods enhances the understanding between learning and assessment and promotes the construction of stronger and a more realistic self-image. The most important data for student assessment comprises continuous teacher observations and formative assessment. In these processes, the teacher is able to collect information about student progress through varied sources. Observing the student’s daily work and using continuous formative assessment on a daily basis gives the teacher realistic and up-to-date information about the student’s academic level, working skills, and behaviour. It is very important for the students to come to school on time. The day begins with a morning session during which the teacher goes through the daily structure and general instructions. If a student repeatedly misses these moments, it will affect his/her social and academic development in the class. Tardiness is documented in student files and report cards. A detailed description of the school’s process for dealing with repeated tardiness can be found in the School Attendance Policy. In case of an upcoming absence, a Student Leave Request Form must be submitted to the school. The form can be requested from school admin. The Class Teacher or Homeroom Teacher can approve a leave of up to 3 days. Requests for a more extensive leave must be addressed to the Vice Principal for approval and include a statement by the teacher indicating to the Vice Principal and the parents how learning is arranged during the leave. At Q.F.I. School, we take unapproved absences very seriously; a detailed description of the school’s process for dealing with repeated unapproved absences can be found in the School Attendance Policy. In case a student needs to be picked up from school earlier than usual, the person picking up must fill in the appropriate form (Student Early Pick-up Form). The form can be acquired from the school reception, and it must be signed by the teacher. The gate opens at 6:30 am students and parents are requested to use the Student drop-off/pick-up zone to enter the school. At 7:28 am the school bell rings. Children (0–2) line up and wait for a teacher/assistant to lead them to their classrooms. All classes begin promptly at 7:30 am. Grades 0-2, 3-6 and 7-9 have different breaktimes. For Grades 0-2 the breaks are at 8.15-8.45, 10.35-11.00 and 11.45-12.00. For Grades 3-6 the breaks are at 9.00-9.30, a 30-minute break at lunch time and 12.45-13.00. For Grades 7-9 the breaks are at 9.35-10.00 (snack break) and a 25-minute break at lunch time. During breaks the students are encouraged to actively play with other students. The gate will open at 12:55 pm for the parents. The school gates open 06:30 in the morning. After this there is supervision in the Assembly Hall. There are two official drop-off / pick-up areas both with entrance and exit gates. Side entry and exits are only for school busses. The main entry parking and the new parking areas outside the school gates are for private cars. Please, note that the main entry parking is a one-way drive area. Use consideration and caution when parking your car so that it doesn’t obstruct the traffic and cause dangerous situation. The pedestrian crossings (zebra crossing) are not parking zones. Please, educate your children to use these marked crossings. We ask you to pick-up your child promptly after school or Extra Curricular Activities. The responsibility for student supervision is transferred to school security after 15:00. At Q.F.I. School, we want to enable our students to experience a continuous positive learning environment. We believe this can be best achieved through inner motivation, as opposed to outside rewards. We promote positivity accompanied by a realistic self-perception, built on reflection by the student, their teachers, and their peer group. Group rewarding methods – Recognition of good behaviour on a community level promoting a sense of shared responsibility in the group. This is extremely important when developing students’ group work skills. The school has a strict No Bullying programme. Our goal is to create a healthy and happy learning environment that encourages friendship among students. Bullying is always fully investigated and handled on a case-by-case basis. We politely remind all parents that the school discourages students bringing money to school. For more information, please see the Behaviour Policy. At Q.F.I. School, we place a high value on students being physically active throughout the day. From Grade 0 all the way to Grade 9, we devote time to breaks, and students are encouraged to spend their breaks outside (with exceptions made in cases of adverse weather). Our state-of-the-art playground and sports facilities allow students to engage in creative play, to practise their social skills through various sports activities available to them, and – importantly – to release excess energy to better enable them to concentrate during lessons. We also empower students themselves to arrange and guide break activities: Breakies are trained grade 4–9 students who act as inspirers, tutors, and game organisers during breaks. Breakies work under the supervision of a Breakie Teacher. The aim is to encourage as many students as possible to be physically active during breaks. Acting as Breakies teaches the students leadership skills and gives them good experience in organising, encouraging, taking responsibility, and giving instructions. In general the school encourages and supports the educational use of technology at school. The difference between the educational use and the recreational use is often ambiguous. The educators in school decide the best possible use of technology at a given time. All students are guided for correct, moral and ethical use of technology. The students are allowed to use their own devices in the morning before the beginning of school (before 07:30) and/or in the afternoon after school hours (grades 0-2 after 13:00, grades 3-7 after 13:45). Students are not allowed to use their own devices during the breaks. Student’s own devices are stored in student’s school bag when they are not in use. Students are not allowed to take any pictures or recordings during the school day. The materials used in student’s own devices must be according to the values of Q.F.I. School. The school has no responsibility and will not cover any loss or damage of devices brought from home. For more information, please see the Device Policy. The school offers a wide variety of Extra Curricular Activities (ECA) mainly organised by outsourced companies. The companies are also responsible for supervising the students after activities until they are picked up. More information about ECAs including contact information can be found on the list. NOTE: All inquiries about outsourced activities must be addressed directly to the provider. All school fees are due and payable to the start of each academic term. In case of unpaid school fees, the school has been instructed by the Ministry of Education and Higher Education (MOEHE) not to give out any official documentation, including school report cards. Unpaid school fees prevent the student transferring and being accepted to any other school. Qatar-Finland International School belongs to the voucher system and follows the MOEHE rules and regulations in this process. For more information, please see the Fee Policy. The school has a Health & Safety & Environment Team whose responsibility is to coordinate safety related topics inside the school and in relation with relevant stakeholders. The staff has been trained for first aid and fire safety. The school has a full time nurse. School nurse is available in the school every school day for emergencies and other health matters. Please contact the nurse for appointment or enquiries. The school organises evacuation drills each term. The school has a Health and Safety Plan. We kindly ask you to exercise extreme caution while driving in our drop-off / pick-up areas. The pedestrian crossings (zebra crossing) are no parking zones. Please, educate your children to use these marked crossings. The school strongly believes that bringing up children is a collaborative task, which requires shared values and understanding between homes and the school. In the Q.F.I. School, we believe that the responsibility of learning is shared between students, teachers and homes. Whilst the parents are primarily responsible for the upbringing of their child, we support them by taking responsibility for the child’s education at school. Parents are always welcome to our school to join classes, to talk to staff and to contribute to our community building after negotiating this with teachers. We hope that parents will be active partners in supporting all aspects of their children’s learning, in and outside of school. All of our teachers are willing and happy to talk with the parents about their children’s learning or any school matter that they might have in mind. However, this is not done during the lessons or other duties. Parents receive a weekly letter from teachers with general information of the class (special events, tests, things to remember), topics that are being taught during the week and some pedagogical guidance on how to support the child at home. The school year is divided into three terms. Students receive a report card at the end of each term. Prior to this the parents have a possibility to meet teachers in a Parent-Teacher Conference or a Student-Led Conference. The school has a Parent Association (PA). PA is a parent-led group that supports the school in its primary task according to the school values. PA meets on last Thursday of a month 7:30am in the Canteen. There is Principal’s Morning coffee at every first Thursday of the month at 7:30am. Each class has a Class Representative who acts as a link between PA and Class Teacher. The school point of contact is Lead Expert Ms. Minna. Library is a versatile learning environment, where our students can read, study, research and do projects alone and in groups utilising the modern technology. Students may borrow books for a specified time. In case there is any damage or loss of the library materials, the parents are liable for covering the costs before the student is able to borrow more materials. In order to study and learn, children need a balanced and nutritious diet. The school has a Canteen that offers warm meals and combo sandwich meals. The canteen provider Jazz Cafe is operating a non-cash system based on a bracelet (students) or canteen ID card (parents). If you want to use the canteen services, please come and see the school finance office. There is always a possibility to have a packed lunch brought from home. The students are expected to have healthy, nutritious packed lunches with them. Soft drinks, chips/crisps, nuts, chocolate or other sweets are not allowed. During the lunch hour the students are encouraged to practice good table manners. Students are also taught to take care of their own environment by cleaning after oneself and returning the crockery and cutlery to the collection point. Student Council is the voice of all students and an official way to have a say to things important to students in school life. It is a good place to practice how societies work in adult world, how to negotiate and make a difference. By making a successful initiative the students might for example get money to buy new break time equipment, influence the length of the breaks or a destination of an excursion. By acting as participants of the student council board students learn important skills for life, such as how to vote, how to be a chair or a secretary and how to represent a larger group. Our focus is on early intervention in a flexible manner with solid co-operation between the different stakeholders. In order to prevent the emergence and growth of problems we offer support in three categories: general, intensified and special support. Everyone is entitled to general support. It is a natural part of everyday teaching and learning process. Intensified and special support categories are based on careful assessment and longspan planning. If general support is not enough, further care is planned by multi-professional Student Welfare Team. The team consists of Vice Principal, School Counsellor, Special Needs Teachers and School Nurse. School nurse is available in the school every school day for emergencies and other health matters. Please contact the nurse for appointment or enquiries (4012 7896). Please, do not bring your child to school if he/she is ill.
Q.F.I. School Lynxes is a Sport Club that provides top quality coaching for the talented athletes of our school in different sports throughout the school year. According to research it’s not advisable for young athletes to specialiase in one sport at an early stage but to practice different sports to fully develop motor skills. Therefore in the Lynxes different sports are practiced in seasons so that when one sport is on the others are on hold. In the Lynxes program children improve flexibility, cardiovascular capability and body composition in addition to strategic and social skills. Try-outs are held for each sport separately in order to select the athletes for the competitive team. Practices take place either after school or on Saturdays and are free of charge for the ones who make the team. The players are expected to be committed and to come to every practice and game. The Lynxes play in QPPSSA League with most other international schools in Qatar. Our athletes get to wear special Q.F.I. Lynxes uniforms for games and act as our ambassadors when we travel to tournaments or play home games against teams from other international schools. We are pleased to welcome all of you to join the Q.F.I. Lynxes Fan Club. We’ll soon start to sell Lynxes Fan items in the uniform shop to enhance the team spirit. The school cooperates with Safari Transport. Transportation Office is located at the bus gate. All inquiries concerning school transportation should be addressed directly to Safari Transport. Students must wear the school/sports uniform at all times, unless otherwise stipulated by the Principal (ex: Free Dress Days). If you are to wear a jacket in school, it must be a Q.F.I. School jacket. All students are to wear black enclosed shoes with black socks. For more information, please see the Uniform Policy.